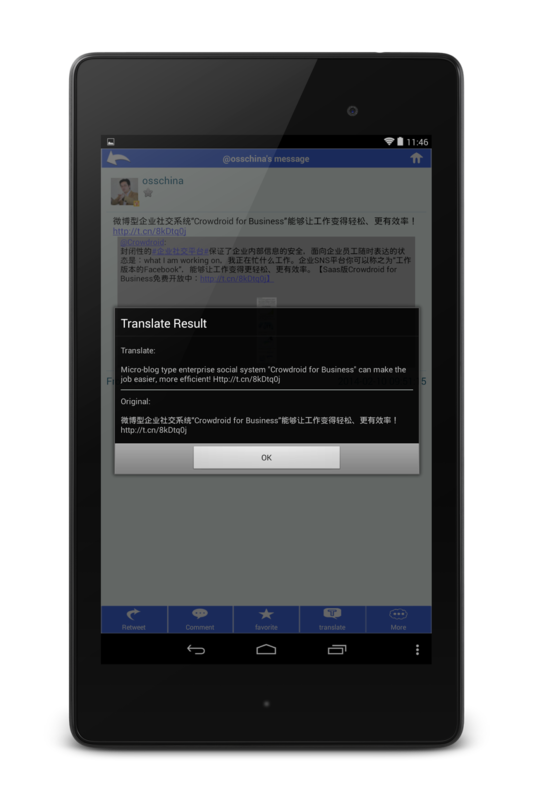 Kingsoft added the function of warning the deceptive advertising on Sina Weibo and Tencent Weibo to their new version of virus protect software. Kingsoft Security is a company who provide virus protect software in China. Recently they published a new version of their product, and they added the function of warning the deceptive advertising on Sina Weibo and Tencent Weibo. ① It is a warning that this message is a deceptive advertising. 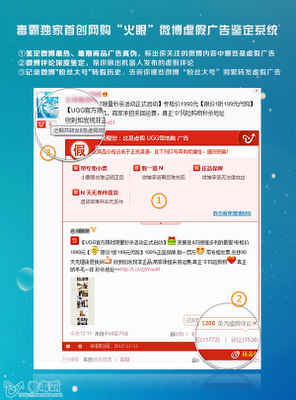 ② It shows the number that other user warned a deceptive advertising for this message. ③ It shows that this account how many times tweeted deceptive advertising message before. According to Kingsoft Security, there are 80,000 accounts who tweets deceptive advertising, and there are 180,000 deceptive advertising tweets in a day on average. This virus protect can be downloaded freely from here. If you would like to enjoy Weibos safely, let's try this!